Of the fifteen languages that the State Department has termed “critical needs” languages for national security or commerce, the popularity of Arabic among American students has shown the most marked increase. According to a 2010 report by the Institute of International Education, the number of American undergrads studying in Arabic-speaking countries increased from 562 students in 2002 to 3,399 in 2007. While that number is still significantly smaller than that of students traveling to the United Kingdom or China to study, it is indicative of a growing emphasis on one of the world’s most volatile and relevant regions. 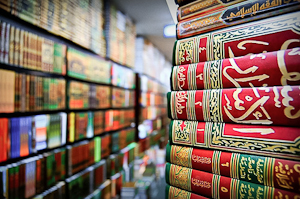 Public and private schools alike have made strides to implement Arabic-language programs, and the number of students taking Arabic courses has doubled between 2002 and 2006, according to the Modern Language Association. More and more students, parents, and policymakers agree that the inability to speak a foreign language puts many Americans at a competitive disadvantage with citizens of countries that begin mandatory foreign-language study starting from the elementary school years. In a 2008 town hall meeting in Powder Springs, Georgia, President Obama himself expressed embarrassment at not being able to speak a foreign language, urging Americans to ensure that their children will speak at least one language other than English. The move to bolster foreign-language education, however, is not without its contentious points. Last year, a number of middle schools in Mansfield, Texas were awarded a Foreign Language Assistance Program grant by the Department of Education. This five-year, $1.3 million grant caused an uproar among Mansfield’s parents when they were caught off-guard by the mandatory Arabic language and culture courses that it would bring in its wake. As a result of resounding disapproval, the program has been put on hold indefinitely. Despite a few initial sputtering starts, Arabic-language courses are gaining momentum, and students from elementary school to continuing adult education classes are trying their hands at this difficult but rewarding language. I actually think you have a point here. Studying a second language in today’s world is vital as the world becomes more of a global village. Life today changes quickly with technological advances, the birth of social networking and internet communication. All these largely depend on communication.Its a shame that parents would let down the opportunity for their kids to learn Arabic, though I believe everybody is entitled to making their personal decision. Nice write up and thumbs up for the information. Its awesome.